Leo 1 is a group of galaxies in the constellation of Leo which is speeding away from us at speeds of between 500 and 1000 km/sec. This is where the elliptical galaxy M105 is found; it contains a massive black hole of about 50 million solar masses. Messier catalogued this galaxy in 1781 at the same time as M96, the brightest in the group. 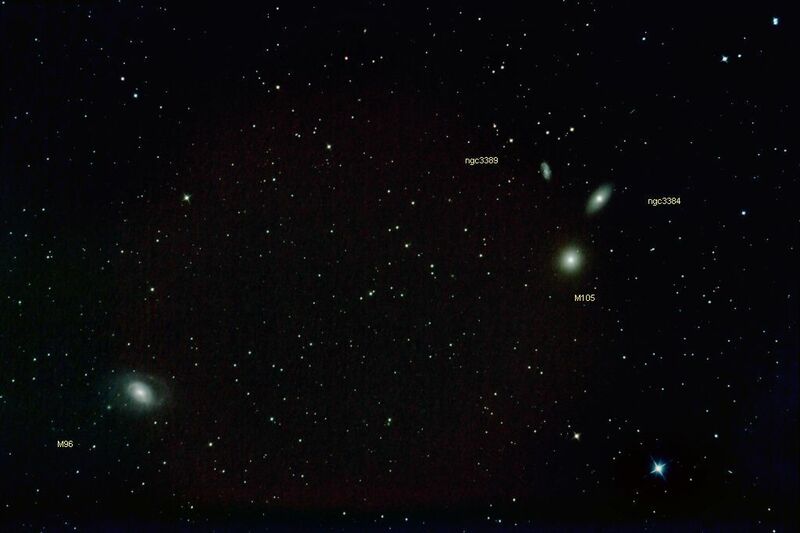 M96 and M105. Credit "Chamois", the person's pseudonym on the forum.